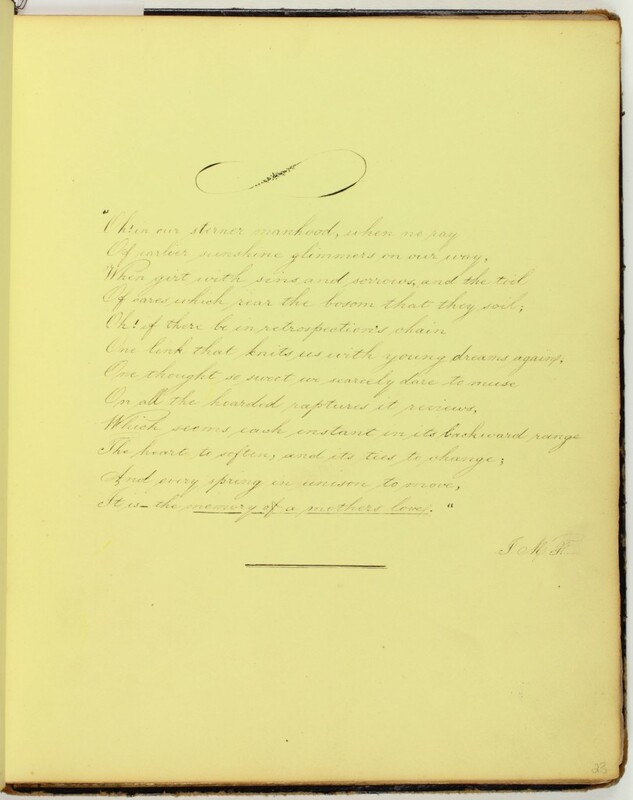 Originally penned by Albert Barnes, an anti-slavery American theologian and pastor of the First Presbyterian Church of Philadelphia (1830-1867), this poem transcribed by an unidentified contributor addresses a man’s connection to his youth through the “memory of a mother’s love.” The sentiment is well-suited for the album, which contains several entries dedicated to topics of womanhood. A son will always remember his mother’s love, even in the age of “sterner manhood.” When a man remembers his mother he reflects on every moment from his youth. She serves as a time capsule in which a man can relive his childhood. A mother’s impact on her child survives long after she is gone, and every interaction between them should be cherished. Page 23: Selected from Reverend Albert Barnes sermon “The Death of a Mother” published in The American National Preacher 19 (New York, 1945). 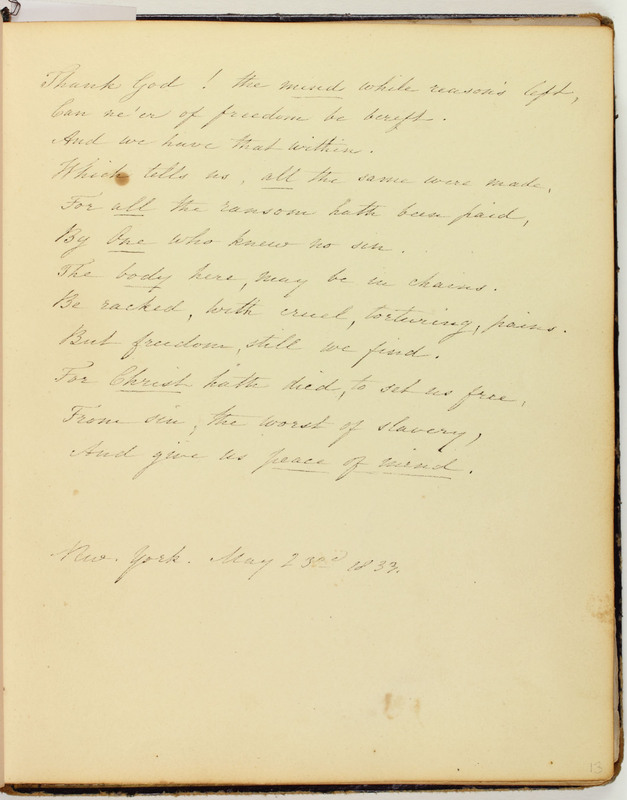 It also appeared later in Revival Sermon (London: William Tegg, 1865).